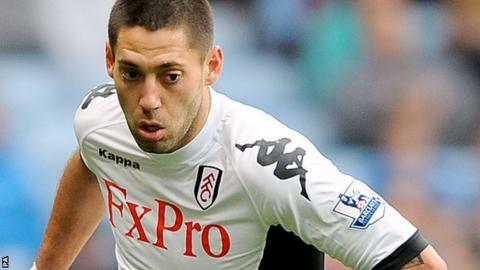 Tottenham have completed the signing of Fulham forward Clint Dempsey and Lyon's France goalkeeper Hugo Lloris. But Spurs failed with a late move for Porto's Portugal international midfielder Joao Moutinho, 25. The one question mark surrounds his size. Although tall at 6ft 2in, he has a slender build and some feel that might hinder him in the fast and physical Premier League. Lloris's talent is not in question, however, and like most people in France, I believe Spurs have just pulled off one of the coups of the summer. Spurs agreed a £6m fee for Dempsey on Friday evening and quickly completed the signing of the American. Lloris, 25, has signed a four-year deal after joining from Lyon for a fee that could reach £11.8m. Fulham rejected a bid for Dempsey from Liverpool and the 29-year-old also turned down a move to Aston Villa on Friday morning. Dempsey, who scored 50 goals for Fulham in 184 league appearances, cost the Cottagers a reported £1.5m when he joined them from American club New England Revolution in January 2007. "To play under this head coach [Andre Villas-Boas] and play for this club is a dream come true. I want to make the most of it," Dempsey said. "There are a lot of great players here, I'm looking forward to training and playing with them." Lyon will receive a guaranteed £7.8m for Lloris and will also get 20% of any profit Tottenham make on his sale. Lloris has 38 caps for France and spent five years with Lyon after joining from Nice in 2008. He is set to compete with veteran Brad Friedel to be Tottenham's first-choice goalkeeper. It is understood they were working beyond the deadline to secure a deal for Moutinho but gave up shortly after midnight. Meanwhile, 19-year-old striker Harry Kane has joined Norwich City on a season-long loan deal.